1) Learn kiteboarding at the best spots. 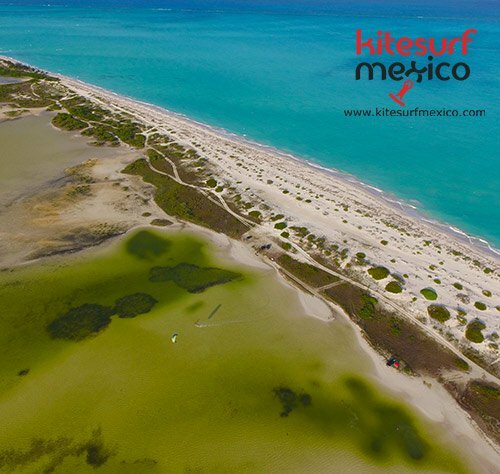 Our kite school is located in Cancun and Playa del Carmen, more precisely at Punta Venado Beach club. But the classes are not only done there. We also go to the best spots in Cancun, such as Isla Blanca and Playa Nizuc. Depending on the direction of the wind, we go to the right place for our students to learn in the best conditions. We also choose the place according to the level of our students. For example, to first learn kite control, they need space and a quiet place, to avoid some external factors that can annoy beginners. Then, when they have more control, we take them to more spacious places with calm and shallow waters, so if the student makes any mistakes or loses the board, they can walk to it and get it back. For the more advanced students who want to learn how to jump or make some kind of transitions, we go to a place with little waves or to some other spot according to their preference. 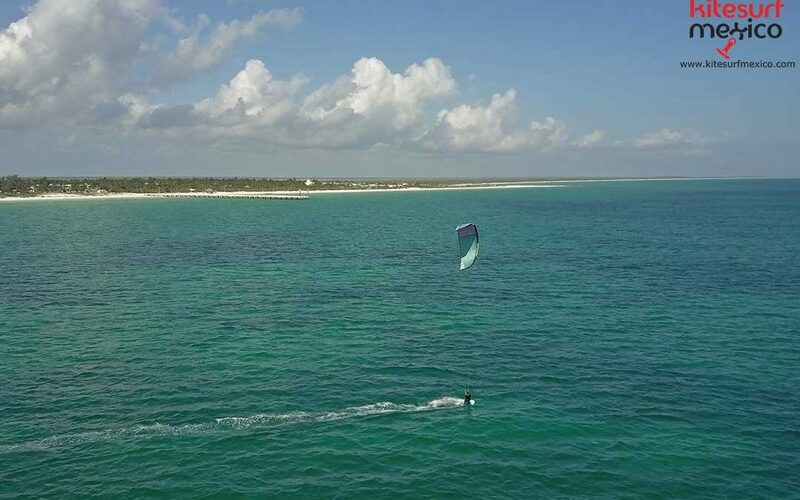 We have more than 5 years teaching kiteboarding in the Mayan Riviera. This makes the difference with other schools in terms of teaching methods and our experience in customer service. We prefer to only provide a private, quality service to just a few students. In this way we maintain very high standards; our reviews on TripAdvisor are a testimony to this. At the moment it is quite fashionable to learn to kitesurf, but the problem is that also teaching has become a fashion. There are schools with little experience and low-skilled instructors who try to teach in this area, putting students at risk and teaching them to navigate incorrectly. This can then impair their learning curve and prevent them from becoming really independent. 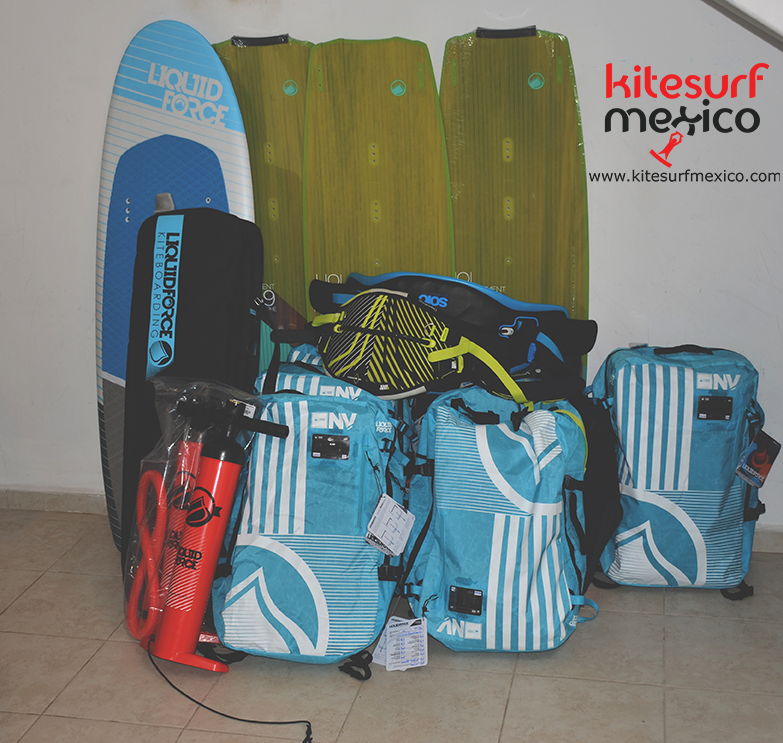 We are the only kite school in Cancun and Playa del Carmen that renews their equipment every year. We do this for two very important reasons: The first is to always have up to date equipment with the latest guidance systems and with maximum efficiency for learning. This is a fairly new sport, so the equipment continues to improve every year in terms of safety standards. Some years ago the public was a little afraid of approaching kitesurfing, but now more and more people feel safe to start taking classes with us, even entire families. The second reason is that the new equipment flies more easily and is more stable each year; this greatly accelerates the student’s process of boarding the kite and navigating it. 4) Qualification of our instructors. Our instructors are certified at IKO, which is the largest kiteboarding organization and has the highest teaching standards. They also need to have at least two years experience teaching kitesurf, which means they have spent even more years sailing with it. They must speak at least two languages correctly. We also train them to give the best possible customer service. 5) Student support before and after class. Our policy is to try to help our customers as much as we can. Beginning with the first emails, we suggest places to stay and activities that can be done here in Mexico. There are many accommodation options and tours here, and this confuses customers a little. That is why we refer them to the best service companies. This is not a source of business for us, we want our students to enjoy the best possible vacation here. In fact, many of our clients come back the following year and refer us to their friends. We also follow up on our students after their course. We help them get the appropriate kitesurf equipment for their level and give them advice on the models and measures they need to buy. Kites come in many brands, models, and measures. For novices, this can be perplexing and prevent them from choosing the right equipment. 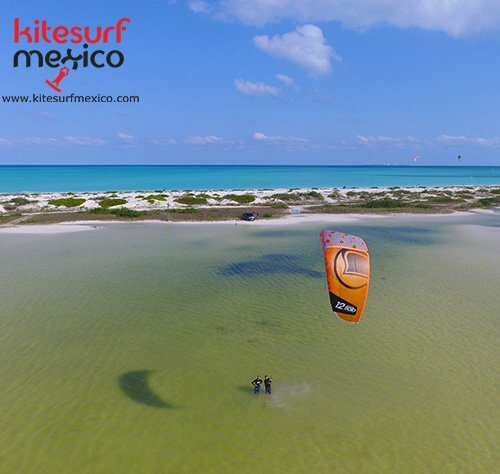 Contact us if you are interested in Kiteboarding Lessons in Playa del Carmen and Cancun, rent kite equipment, kite trips and tours.